Lucy Yang has the story. 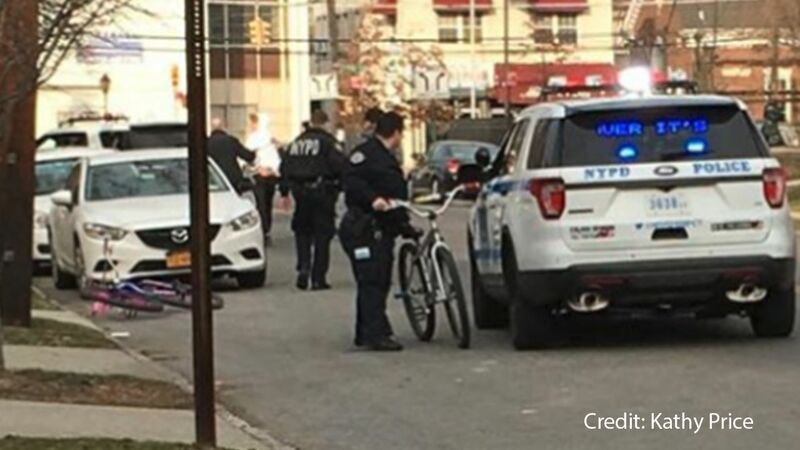 STATEN ISLAND (WABC) -- There is a crackdown on daredevil teenage stunt bike riders popping wheelies and causing some dangerous situations in New York City. It's happening on Staten Island on the so-called "boulevard of death" where kids on bikes are barely avoiding getting hit by cars. Now there's a campaign by the NYPD to confiscate these bikes. "I ride every day. Try new things," said Justin Wisniewski, 14 years old. Justin is an accomplished bike rider. He spends hours perfecting daredevil tricks. "We're just trying to have fun and enjoy ourselves," Justin said. But he and his friends are feeling the heat Tuesday night. Police arrested almost half a dozen boys in Staten Island for reckless riding and confiscated their wheels. "They're pulling wheelies into oncoming traffic, surrounding some elderly women, menacing drivers," said Mike Reilly, School Board President. "Not all the kids, let's remember a handful of them are making them all look bad." According to officials, it's not about clamping down on bike riding, it's about preventing an injury or tragedy. They don't want the kids weaving in and out of traffic. Worst, they don't want them playing chicken with oncoming cars. "If they make one false move, it's over," said Linda Wisniewski, Justin's mother. Justin's parents insist their son and his friends do follow the rules of the road and ride safely and should not be labeled a menace just because they need some space on the streets too. "He's obeying traffic rules, goes to school, gets good grades, good kid," Linda said. "Not all of us are bad and doing stupid things," Justin said. "We're trying to ride and have fun with each other." Convinced fun and safety can coexist, the school board president is now proposing a bike rodeo day in the spring where bikers can show off their tricks on streets that have been closed to traffic. He's also pushing for a designated bike park.